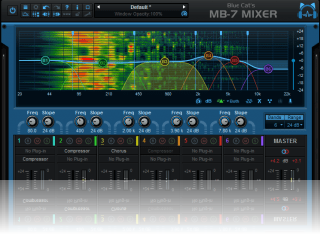 You will find here some skins to use with the MB-7 Mixer product. To use a skin, download the file, unzip it and then select the unzipped skin in your plug-in user interface (see the user manual for more information). Description: This skin transforms the plug-in into a very simple single band mixer with VST inserts, pre/post faders, panning and spread controls, mid/side capability, multiple instances grouping etc... The skin works for the mono, stereo and dual versions of the plug-in (for version 2.1 and newer only). Description: This skin transforms the plug-in into a very simple single band utility that lets you adjust the gain, stereo spread and panning of a track. 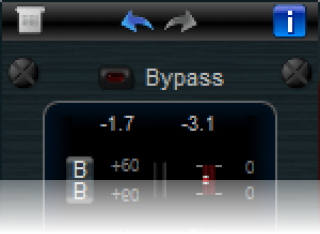 It also includes a mono switch, level meters and multiple instances grouping options. 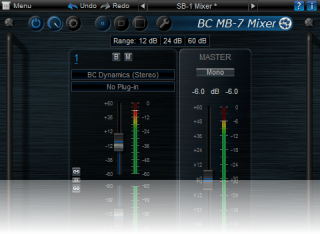 The skin works for both the mono and stereo versions of the plug-in (for version 1 only).